Loved the big table in the lounge room. Made working easy. Good coffee and teas. Nice layout of the room. Great location. Friendly staff and very helpful. Very clean and had all the basic amenities. 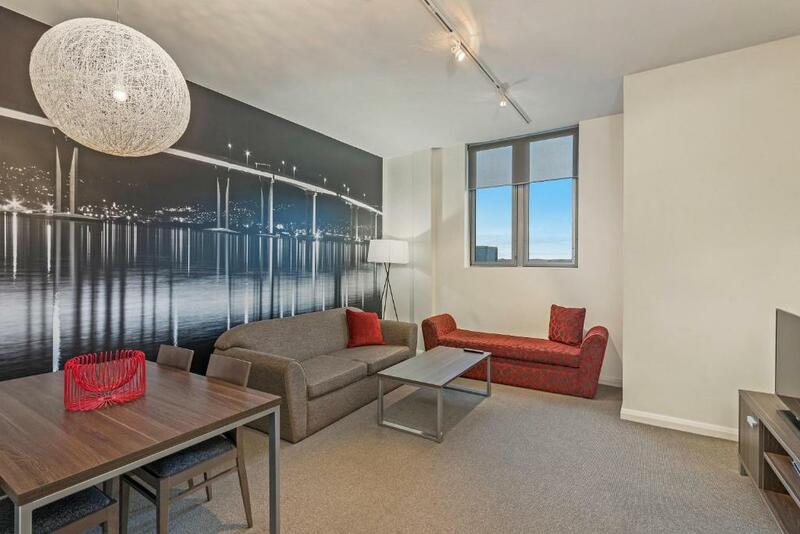 Close to the wharf, within walking distance of restaurants. Location is excellent and a short walk to shopping center and Salamanca place and nearby attractions. Nice and convenient. Everything is already prepared. Very nice apartments, super spacious for the price. Great location, just across from Salamanca, so it was very convenient to go for coffee and dinner before and after our tours. Late check in was easy and went without a hitch. Had plenty of sleeping space as well, could definitely fit more than the 3 of us. Location was perfect, so close to taste but just far enough away. 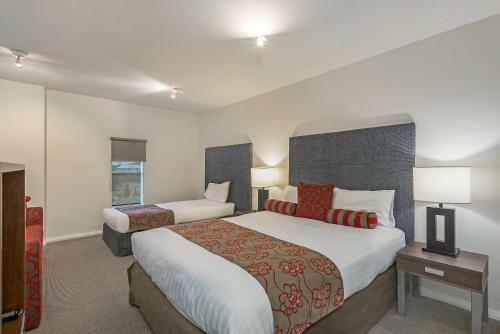 Lock in a great price for Mantra One Sandy Bay Road – rated 8.5 by recent guests! 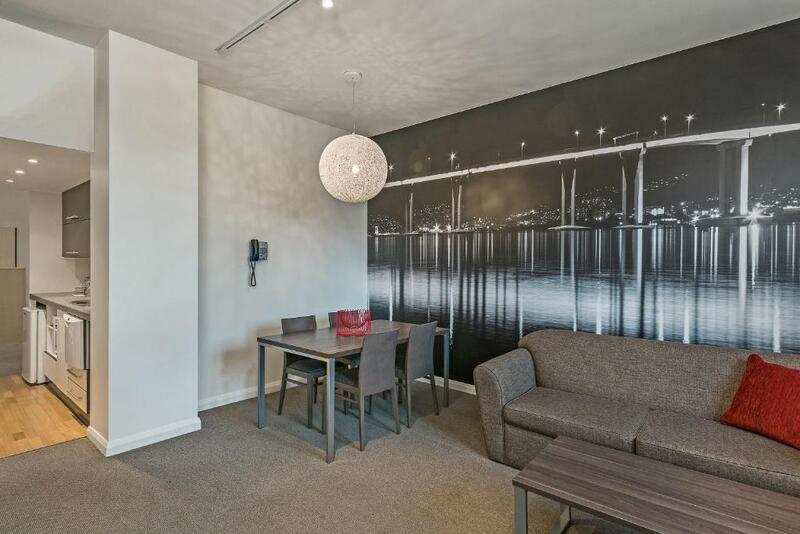 Mantra One Sandy Bay Road This rating is a reflection of how the property compares to the industry standard when it comes to price, facilities and services available. It's based on a self-evaluation by the property. Use this rating to help choose your stay! 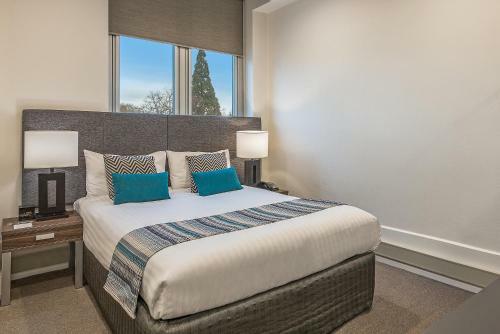 Located just 500 feet from Salamanca Place, Mantra One Sandy Bay Road offers self-contained apartments with kitchenette and laundry facilities. Some rooms feature panoramic views. All air-conditioned apartments at One Sandy Bay Road Mantra feature an open-plan living area with 2 TVs, DVD player and stereo. Views over the River Derwent, Mount Wellington and Hobart CBD (Central Business District) are available. Laundry facilities and limited car parking are available. The tour desk can book activities in the local area. Mantra One Sandy Bay Road is located opposite St David's Park and is 1,650 feet from the shops and restaurants of Hobart CBD (Central Business District). Hobart International Airport is a 20-minute drive away. 뀐 Located in the real heart of Hobart, this property has an excellent location score of 9.2! When would you like to stay at Mantra One Sandy Bay Road? 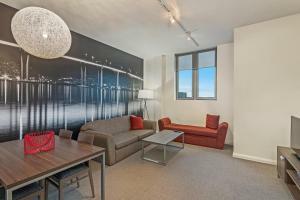 This studio apartment features a gallery style kitchenette with a dishwasher, microwave and small fridge. It offers a DVD player, a lounge area and a dining table. There are also laundry facilities. Please note that this apartment has a king-sized bed or a queen-sized bed, subject to availability on arrival. Private parking is available on site (reservation is needed) and costs AUD 20 per day. 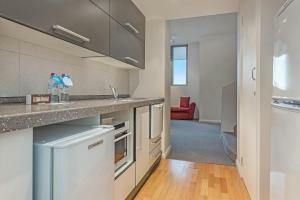 This open-plan apartment features a gallery style kitchenette with a dishwasher, microwave and small fridge. It offers 2 TVs with cable channels, a DVD player and a lounge and dining area. There are also laundry facilities. 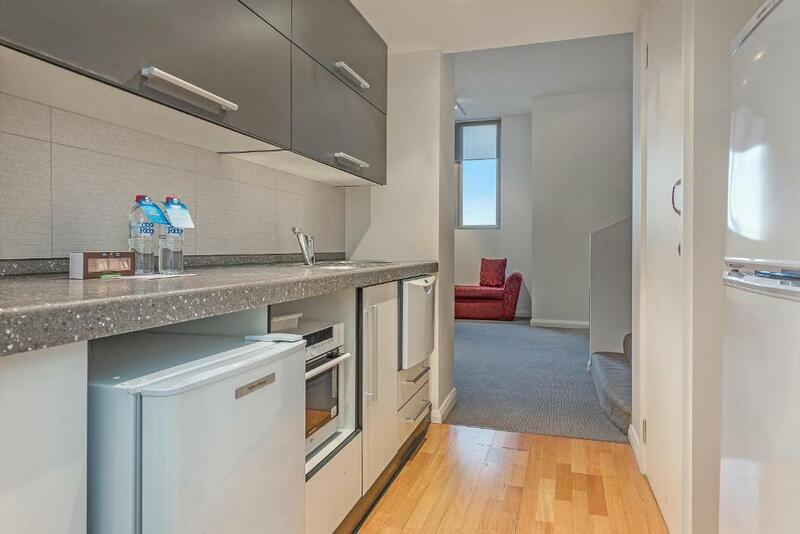 This open-plan apartment features a gallery style kitchenette with a dishwasher, microwave and small fridge. It has TVs with cable channels in the living and bedroom areas, a DVD player and a dining table. There are also laundry facilities. This apartment has a toaster, DVD player and sofa. It offers 1 bathroom. House Rules Mantra One Sandy Bay Road takes special requests – add in the next step! Mantra One Sandy Bay Road accepts these cards and reserves the right to temporarily hold an amount prior to arrival. Please note limited secure parking is available on-site for registered guests. A daily fee of AUD20.00 applies per parking space. Guests must pre-book a parking space by contacting the property before arrival using the details found on the booking form. Due to limited facilities all parking spaces are subject to availability. Some street parking may be available nearby One Sandy Bay Road. Parking is expensive and not accessable to everyone if you haven’t booked. Very central in walking distance of everything. Great bus service in Hobart. Arrival and not prepared for the procedure to check in. Was not impressed that parking was extra in the overall price. Didn’t know there was extra cost till after I had already booked. I thought it was included. How much space in the room and closeness to restaurants. A little maintenance on the shower tap which kept coming off and soap dish which was hanging off the wall would have been nice but that wasn't too much of an issue. I disliked that the huge window looked directly at a red brick wall but perhaps the price reflects that. Staff were great as was the position. A short walk to Salamanca and Battery Point as well as the city . The facilities in the room were good. Parking nearby is easy after hours. The bathroom wasn’t great as shower leaked continually, tap & soap holder broke. Non existent wifi, no parking available .. all available parking booked out. Room only serviced once in our 8 day stay. When room was serviced they forgot to replenish coffee and milk supplies. Bed and pillows uncomfortable. Some complimentary snacks in the minibar on arrival would have been nice. And a later checkout time. Unfortunately traffic noise night and early morning. Only had A very short stay but Clean, modern apartment, large bed, great size lounge room, close location. Pleasant staff on arrival. Would stay again. Location was excellent and good to have onsite parking. Our room was noisy, due to window not being able to be closed. Everything we needed was provided. Apartment facilities excellent except that the window was so high up that you could not appreciate the view. The location to the wharf and Salamanca Place was excellent for dining out alone. No parking availability. Street parking is free and unlimited at weekends. During the week - don't take a car. A very nice serviced apartment- excellent location- close to the Salamanca Market and Quay - a great area of town with plenty of pubs, hotels, restaurants. Very convenient to get the ferry to tha amazing MONA. Very friendly reception staff. Washer drier with soap powder was a nice bonus. The bed and pillows weren't the best but you'll get by for a night stay. There was an issue with the dishwasher as it kept beeping with F1 error messages when I first walked in. Friendly staff, great location, good facilities, well designed apartment.